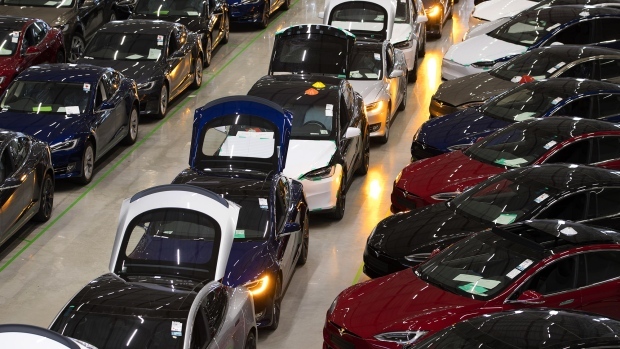 After Tesla followed in the footsteps of the legacy automakers and announced a plan to cut jobs on Friday, shares of the electric vehicle maker dropped as much as 10 per cent in New York, bringing its market capitalization to just US$54.2 billion. GM, whose shares have gained as much as 0.6 per cent today, is now valued at US$54.4 billion. Despite going through a rough and turbulent year as a company, Tesla shares managed to gain about 7 per cent in 2018, mostly helped by strong deliveries and profit for the third quarter, while GM’s stock dropped more than 18 per cent. The trend has been reversed so far this year, with Tesla dropping 5.6 per cent and GM rising nearly 15 per cent. Still, the U.S. peers are valued at a fraction of the global heavyweight, Toyota Motor Corp. The Japanese carmaker’s market cap sits at 22.2 trillion yen, or US$202.8 billion.